The Irish are famed for being excellent horsemen, and breeding excellent horses too. As a nation, they have produced greats like Cian O’Connor and Shane Breen. Unfortunately, Ireland has traditionally struggled to make a name for themselves on the global stage at team level. With a host of younger talent coming up through the ranks though, and well-performing junior and pony teams, it seems that with some help from the veterans of the sport, these young Irish hopefuls are ready to cement Ireland’s place as one of the foremost equestrian nations. Although the Irish are very strong individually, with more riders in the top 50 than any other country in the world, their team performances have lacked a little bit of oomph in recent years, something which young Irish Jumper Richard Howley thinks will change shortly. 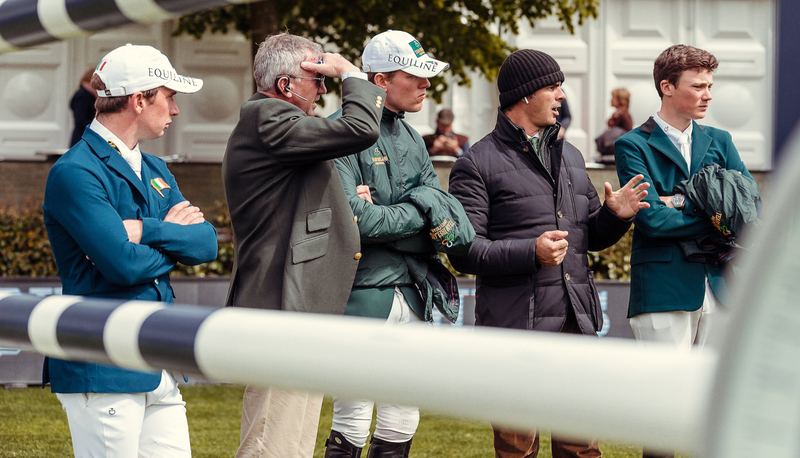 To help the riders on their way, Rodrigo Pessoa has recently been appointed as the new Team Manager for Irish Showjumping. The equestrian legend says that his goal is to transfer strong individual performances to the national team. Daniel Coyle said he believes disorganisation and a lack of clarity is to blame for Ireland’s failure get on the podium in team events, but that under Pessoa, the team management is now the most organised that it ever has been and that "things have changed already. His management style is more about the riders. He’s got a lot of experience and knows when to give people more of a schooling ride than having to win or prove a point." Of course, the more horsepower available to the Irish riders, the better their chances of performing at important competitions like the European championships and WEG. The results over the coming years will speak for themselves, but Richard Howley says that he believes the horsepower will appear. "Rodrigo’s approach is insightful without being interfering and he’s giving more pairs a chance to compete at the top levels, which will naturally raise the standard within team Ireland, eventually enabling more people to compete at better shows with the possibility of getting better owners and sponsors," Richard says. Before the upcoming European championships, Rodrigo will be hosting a training camp for his riders. While he says that 'nothing special' happens there, he believes that spending time together as a team and understanding how they fit together and why they’re all there is the last piece of the puzzle that needs to fall into place. With experienced riders like Shane Breen available for the younger riders to learn from, Ireland could soon be fielding a team with just the right amount of experience and youth. "Riders like Shane Breen have so much more experience and have been in the sport for much longer. If I can learn from something they’ve experienced without having to necessarily experience it myself, then that’s something the younger riders can take from them," Daniel Coyle says. With established riders like Shane Breen ready to lend their experience and upcoming riders like Daniel setting his sights firmly on the WEG and aiming to ‘bring back a result’ if he is selected, it seems like the Irish team might be one to watch over the next year or two. Do they have a real shot at performing well? "We like to think that the results will start to come through by themselves," the team says. As it stands now, Ireland are sitting at seventh place on the European Division 1 rankings with the Netherlands hot on their heels, and will be looking to climb the ranks as only the top seven teams will progress to the finals in Barcelona. With the luck of the Irish firmly on their side, they’ll be aiming for a podium finish at the final leg in Dublin - but the Irish riders will have to channel those strong individual performances into a showstopping team effort over the next few weeks in order to ensure qualification for the finals.